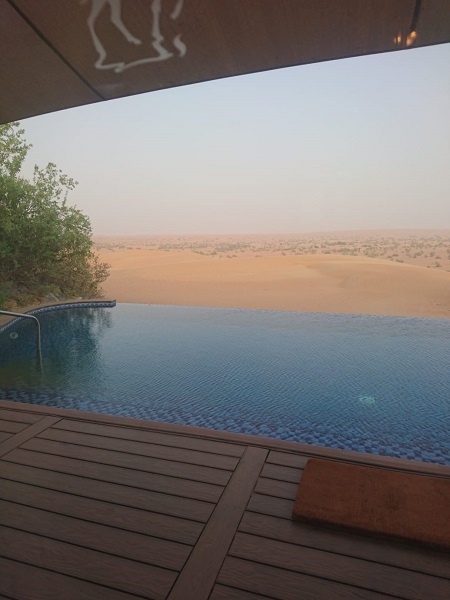 Sam O’Connor, Assistant Manager at our Lymington travel agents, had a taste of Dubai luxury on a recent trip to the UAE. As well as seeing some of the opulent hotels that the city can offer, she enjoyed some fantastic experiences. Here is how the trip went in her own words. The flight with Emirates was in Business Class with lie-flat beds, so we could take the chance to get some sleep. There was an extensive menu and drinks were fully available with a dedicated bar at the back of the aircraft. The staff were very attentive. The return flight was overnight, so we were able to get some sleep before coming back home, which was a great benefit. Grosvenor House is a luxury hotel near the waterways, providing plenty of places to go out and eat or enjoy some lovely walks along the riverside. Jumeirah Zabeel Saray is a luxury beachfront hotel with many restaurants and entertainment venues overlooking the Palm and Dubai city. The Arabian Court at the One and Only Resort has beautiful colours within the property and has lovely Arabic style lanterns, pictures and fountains. Jumeirah Al Naseem is near the Wild Wadi water park and, if you stay here, entry to the park is free. The hotel is very modern, with various themed rooms. The Al Maha Hotel is located in the middle of the desert, about an hour and a half’s drive from Dubai. It has an abundance of wildlife around it, including gazelles, and a beautiful restaurant overlooking the desert at night. You can go out on wildlife to look for scorpions with heat lamps, so it is a really fascinating place to stay and I would highly recommend this hotel. 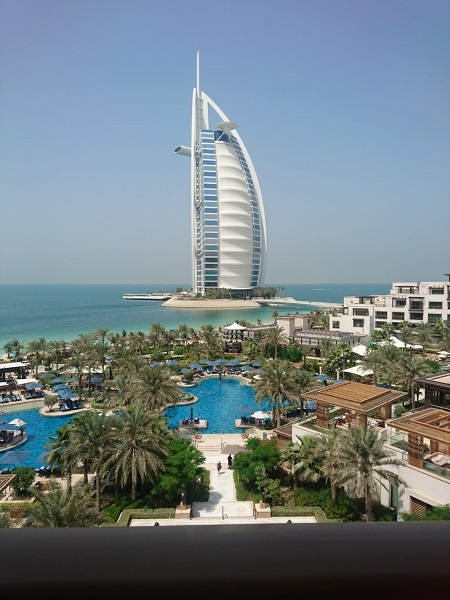 We had afternoon tea at the Burj Al Arab, on the 27th floor, and the views across Dubai and the Palm were spectacular. It would be an ideal place for couples to go, as it’s very romantic and could even be a special place for a proposal. We also had a dinner river cruise along the creek area of Dubai, which is nearer the old town and the markets. A bus tour of Dubai is a good option as the city is very vast and this would allow you to see the best sights and highlights. Staying at the Palm in the hotel Jumeirah Zabeel Saray has to be my highlight. 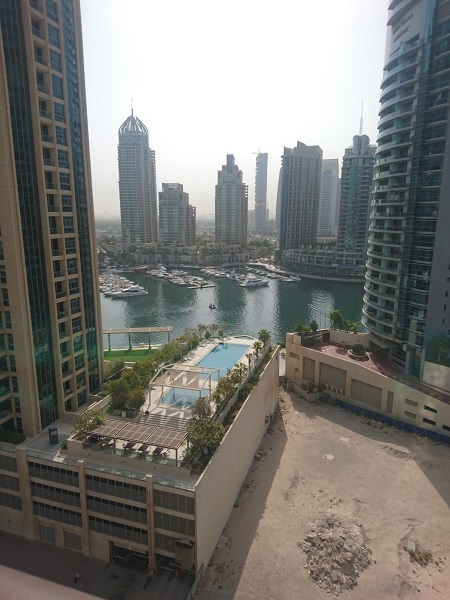 The views from this hotel were fantastic, looking out over the Palm and with the city view as well. We also had a look at a new hotel called the Emerald Palace. This will be open in 2019 and looks breathtaking. The decor is very opulent, with chandeliers and furniture being bought over from Russia. Dubai is an amazing destination and would be perfect for people wanting a city break with warm weather. It’s also an ideal stopover on the way to Mauritius or South Africa. An Emirates Airlines upgrade will make your trip much more comfortable. If you would like the team to help you plan your own luxury holiday to Dubai, they are always happy to offer expertise and first-hand advice. Visit us at any of our travel agents in Suffolk, Norfolk, Essex, Hampshire or Dorset.